BOOM! Studios is proud to present Americas greatest action hero translated into the sequential art form for the first time! Every great action hero got started somewhere: Batman Began. Bond had his Casino Royale. 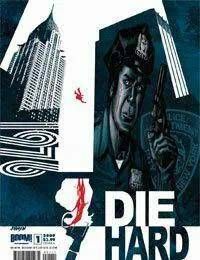 And for John McClane, more than a decade before the first DIE HARD movie, hes just another rookie cop, an East Coast guy working on earning his badge in New York City during 1976s Bicentennial celebration. Too bad for John McClane, nothings ever that easy. Join legendary industry creator Howard Chaykin on a thrill ride thats rung up over $1 billion in box office worldwide and become the gold standard for classic action! Yippee Ki Yay!